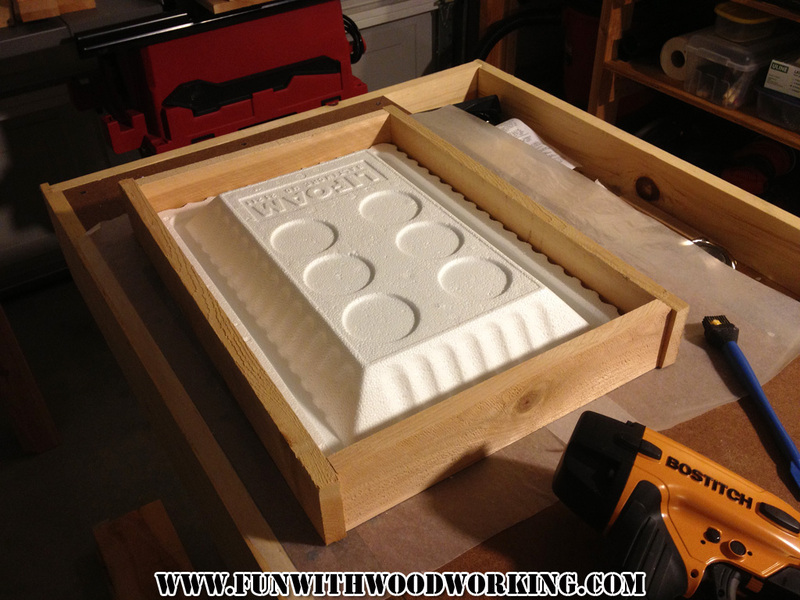 My wife found a picture of a wood ice chest box on Facebook and once she showed it to me I knew that I had to make one. 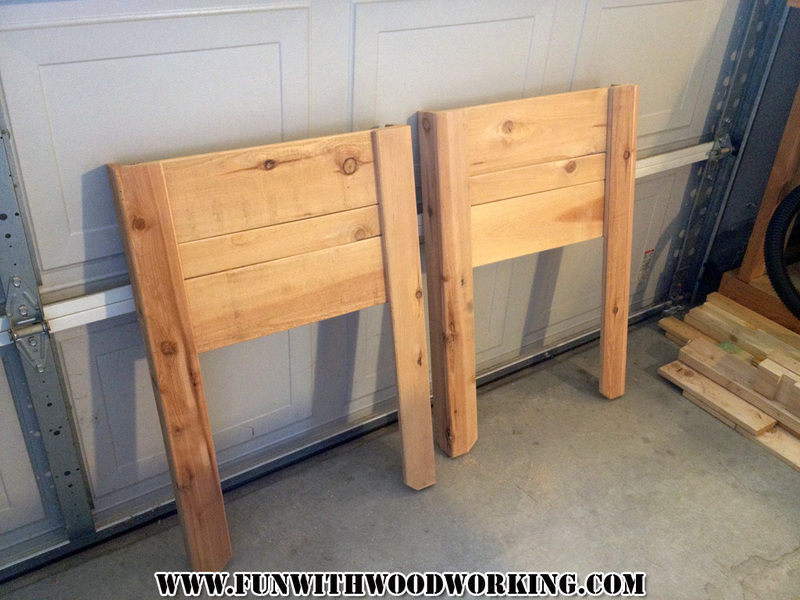 I wanted to make something that would be easy, relatively cheap and very rustic so I went with cedar fence pickets. 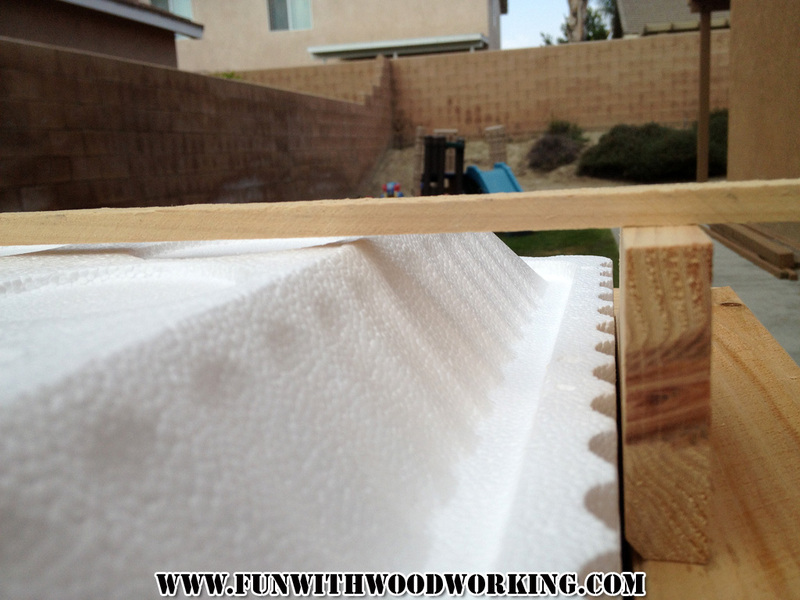 They are 5/8″ thick by 5 1/2″ wide by 6 feet long. I was able to make this entire project out of 7 pickets. 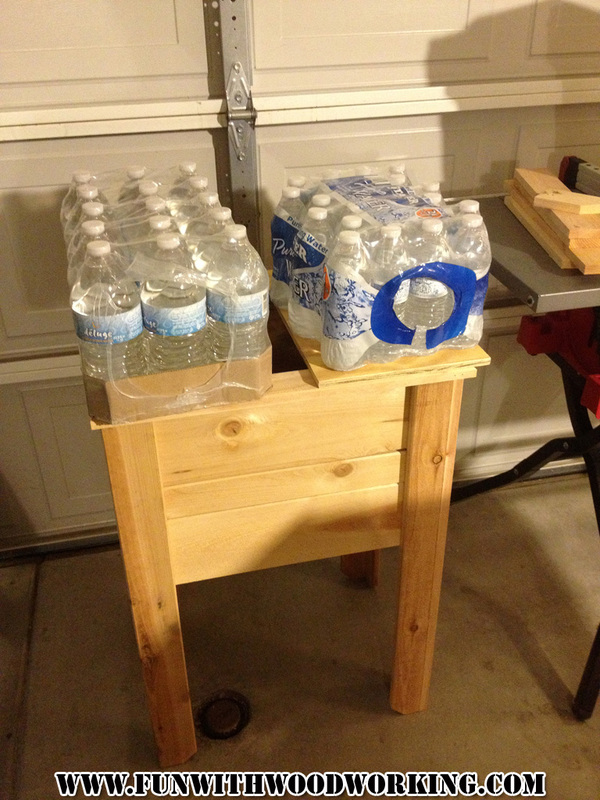 The pickets were $2.05 each, the hinges were $2.17 each, the handle for the front was $2.97, and the Styrofoam ice chest was $2.99. Those materials came out to $24.65 not including tax. 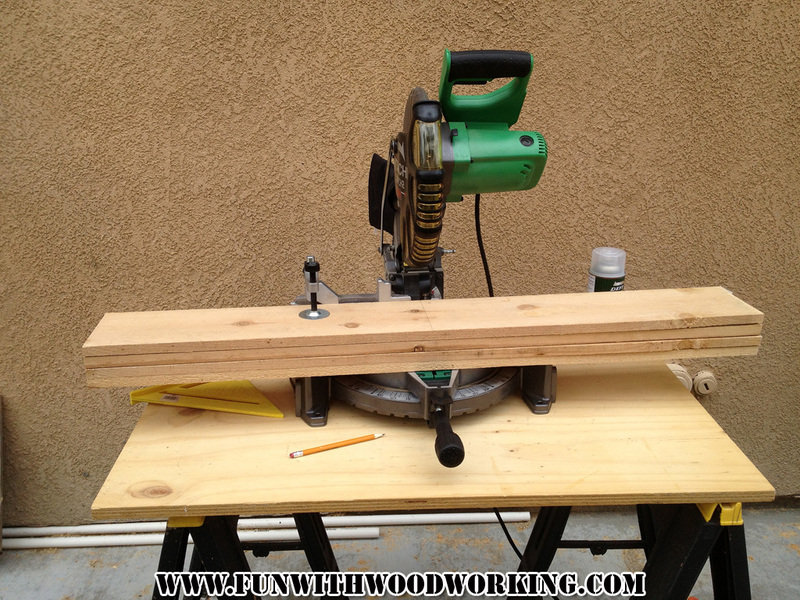 I also used 56 one inch screws, a bunch of 1 1/2″ brads in my nail gun and some Titebond glue so I would estimate the cost of this project to be right around $30.00. 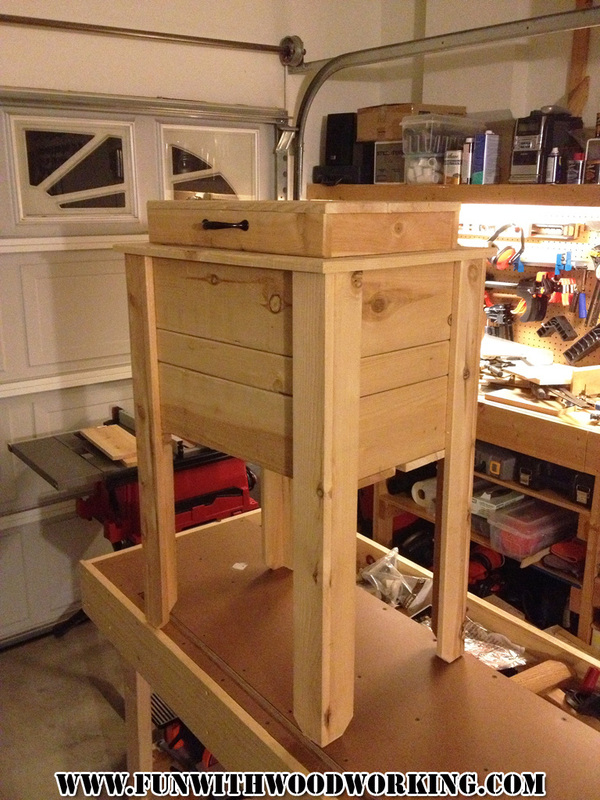 It might be a little bit more if I decide to put a coat of finish on it. I am very happy with the outcome and plan on making more. 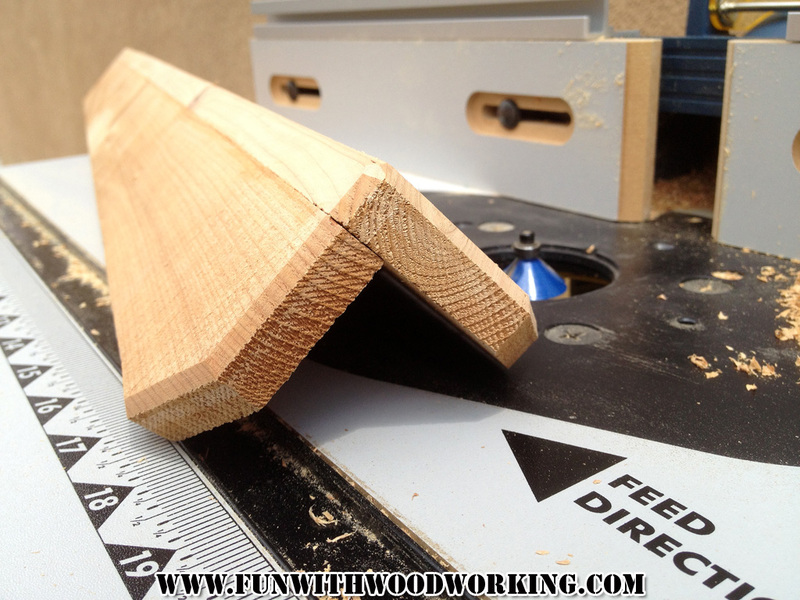 I started by cutting the legs to 31 inches making sure to keep the angled parts for the feet. 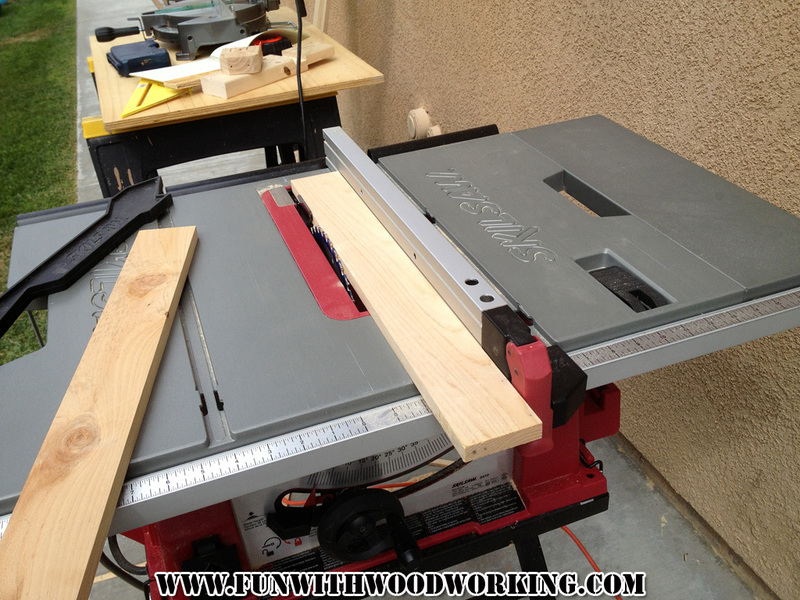 I then set my tablesaw to 3″ to cut the leg pieces. This is what the legs are going to look like. 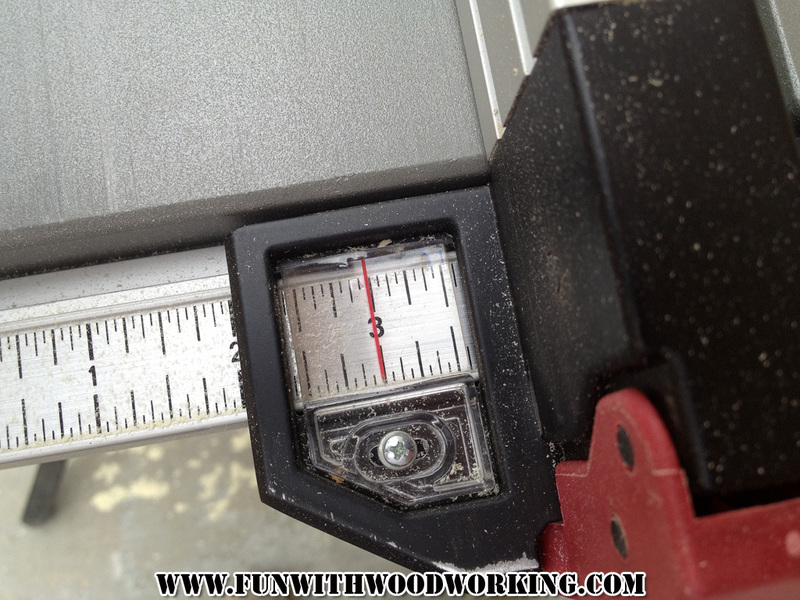 1 board is 3″ and the other is 2 1/2″ roughly. 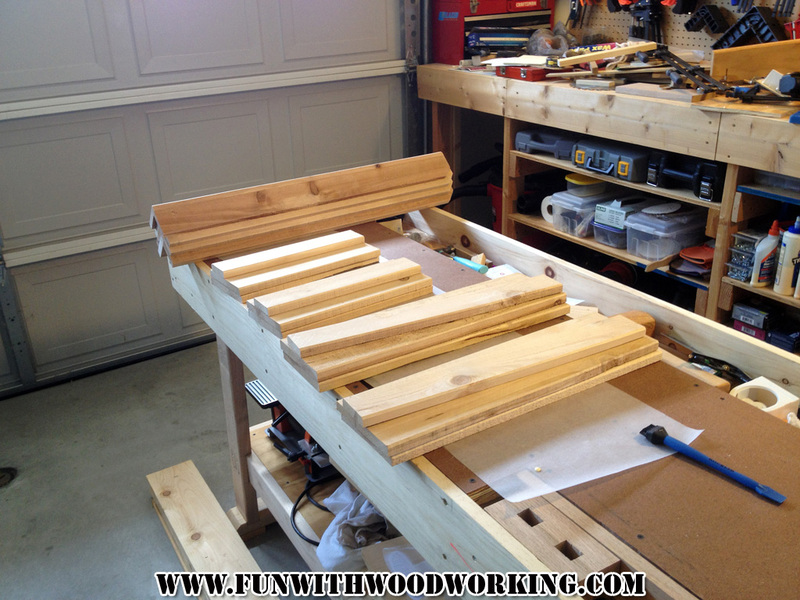 I glued and nailed all the leg pieces together and then clamped them just to play it safe. 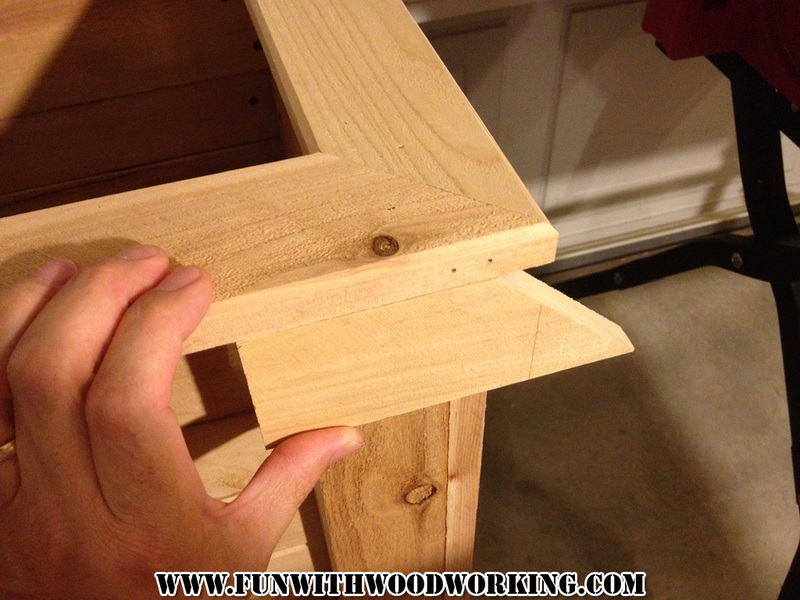 Pay attention when you glue them so that you have 2 left legs and 2 right legs. 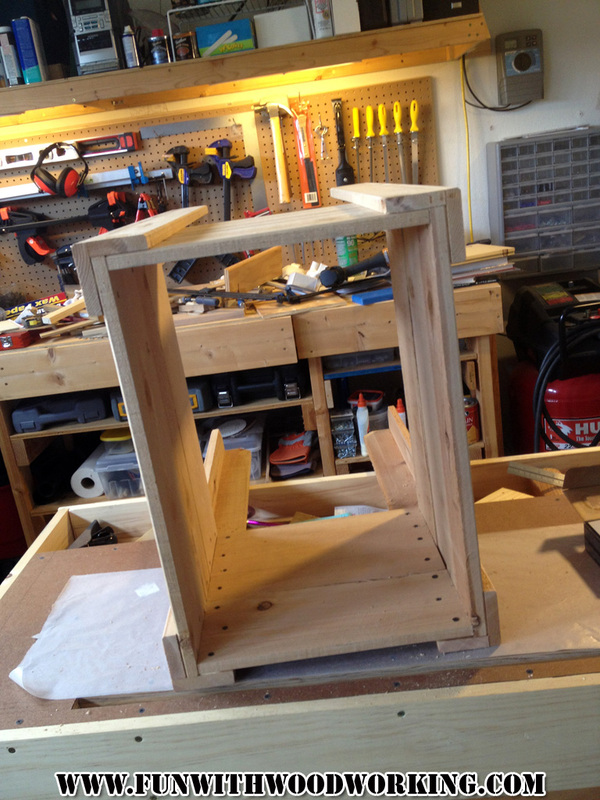 I assembled mine so that the 3″ pieces were facing forward on the front. 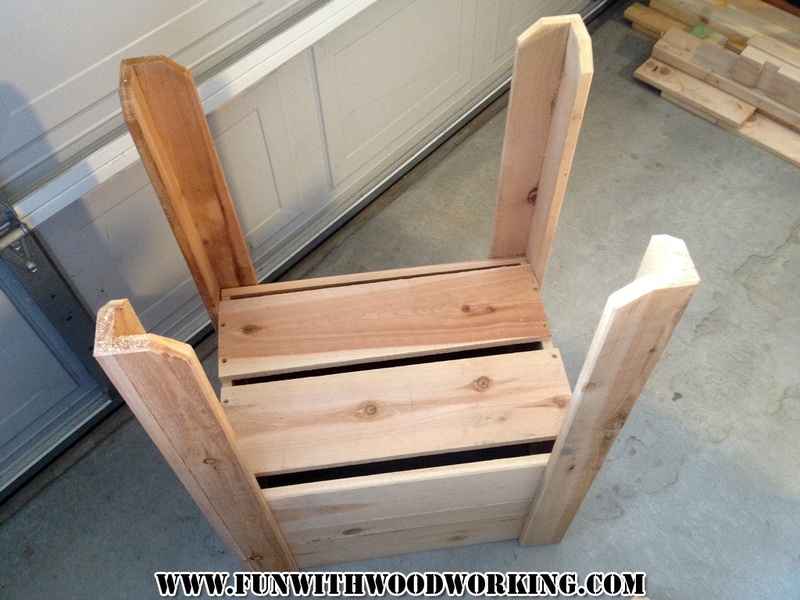 I took the rest of the 4 leg pickets and cu them down to 20″ for the front, back, and bottom of the box. I got 8 pieces out of the 4 boards. 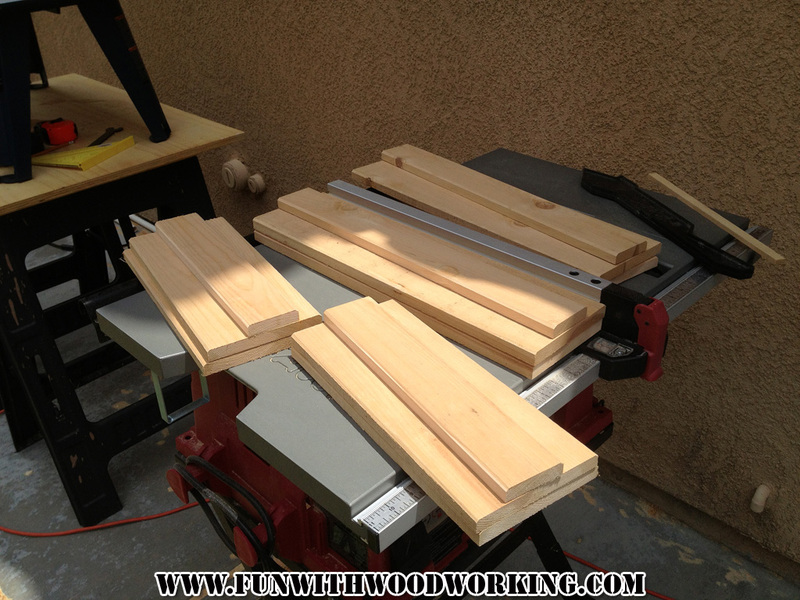 I cut a fresh picket into 5 – 13″ boards for the sides. 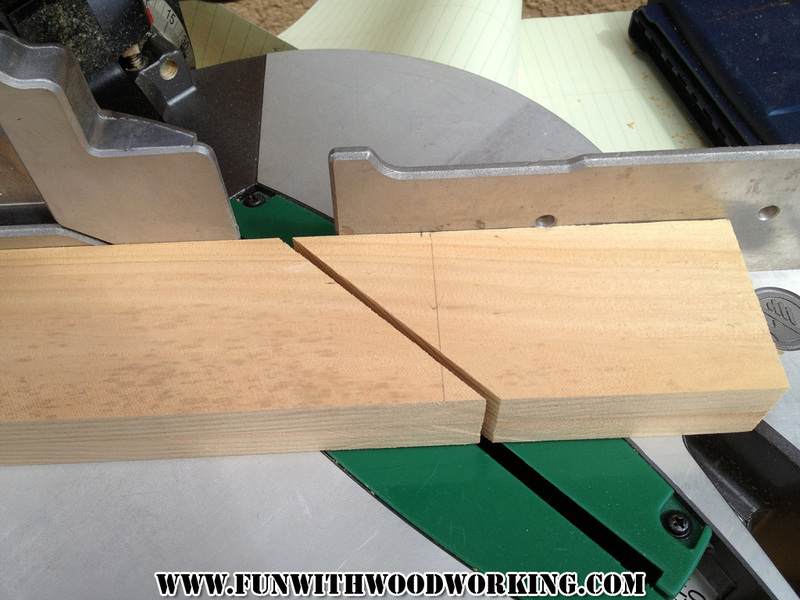 I cut one of the 13″ board in to two 2 1/2″ strips and one 20″ board into two 2 1/2″ strips. 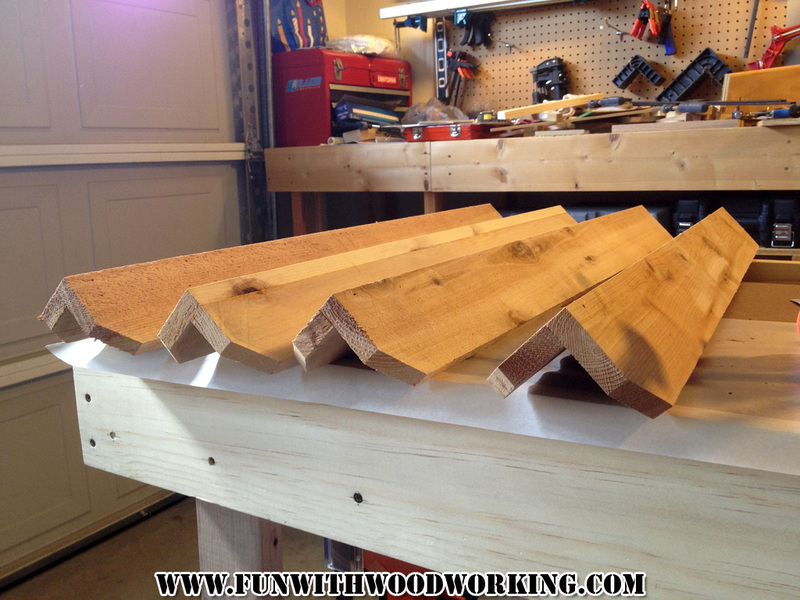 Here are all the pieces cut for the front, back, and sides. 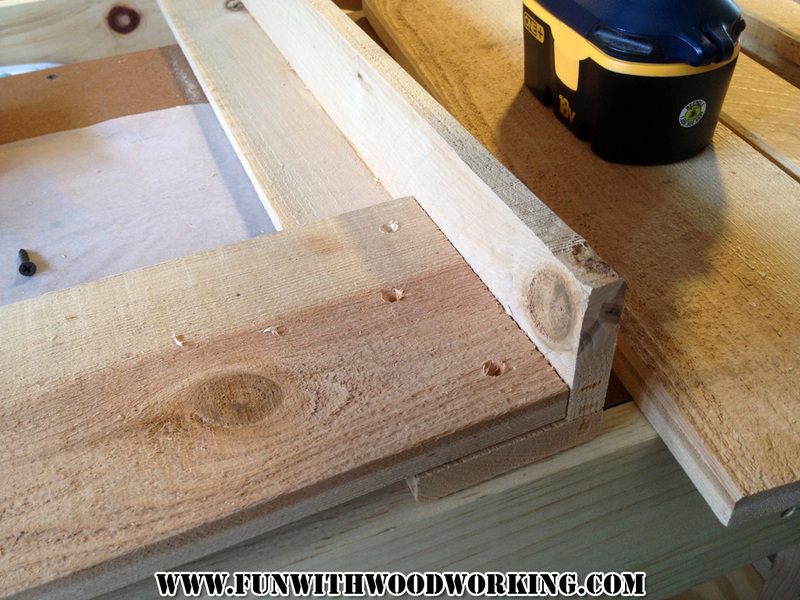 I put a slight chamfer on all the pieces to try and minimize splinters and to add a decorative element to the front, back, and sides. Here is everything ready for assembly. 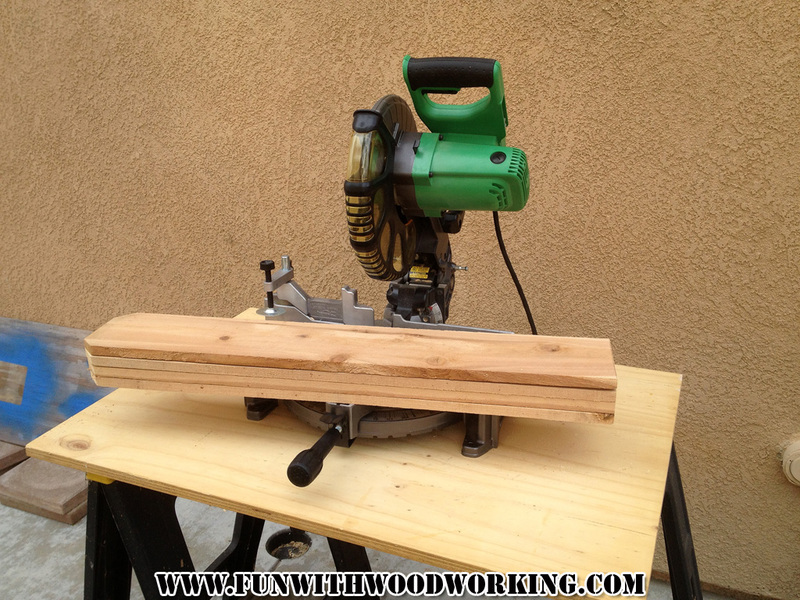 The wood is pretty soft but I predrilled and countersunk all the holes just to play it safe. I also glued all the joints. 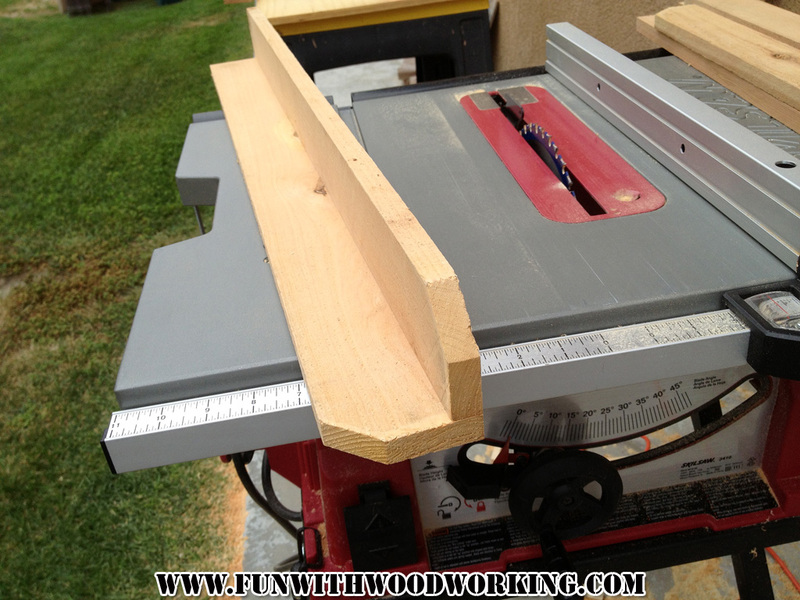 I made the front, back and sides out of two 5 1/2″ boards and one 2 1/2″ board. 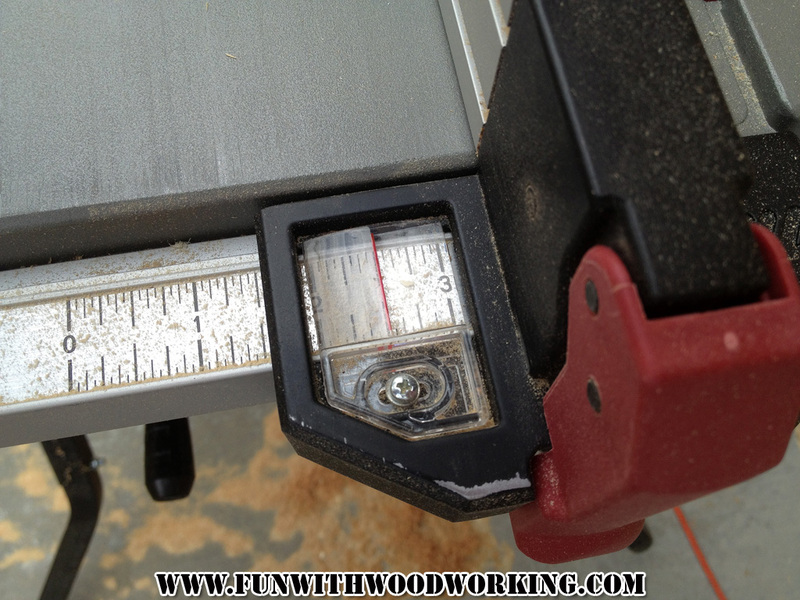 I couldn’t find any coated screws in a 1″ size at Home Depot so I used coarse drywall screws. It’s starting to look like a box! 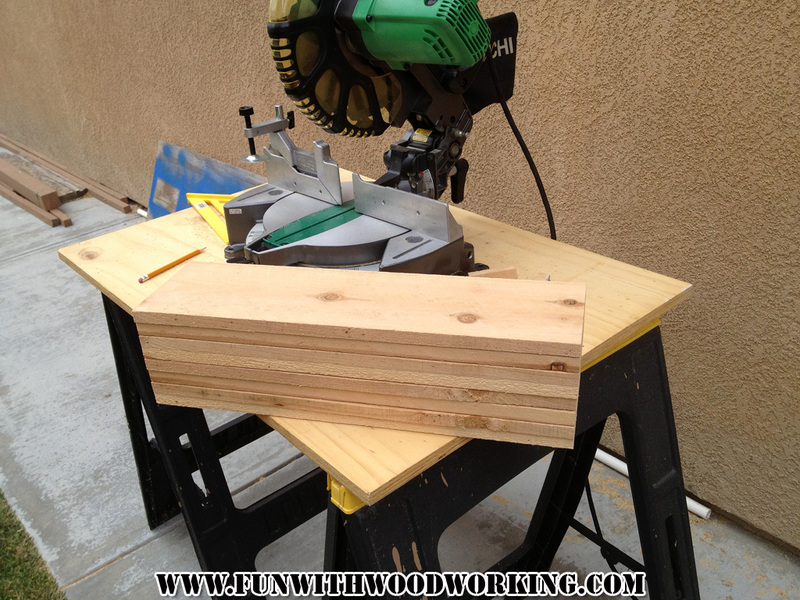 I glued and screwed two 20″ boards to the bottom. These were from the 8 that I cut at the beginning. 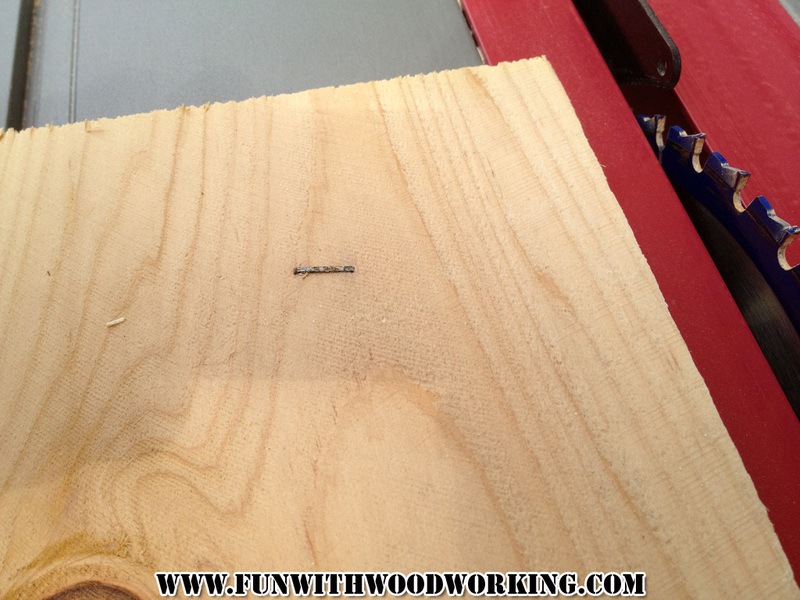 I was getting ready to cut some more 2 1/2″ strips when I found this staple. 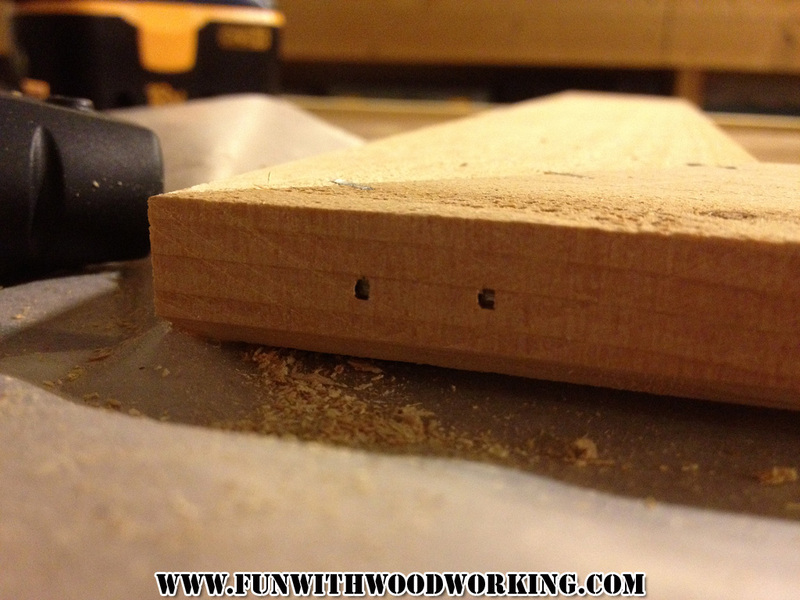 It always pays to check your wood before you run it through the tablesaw. 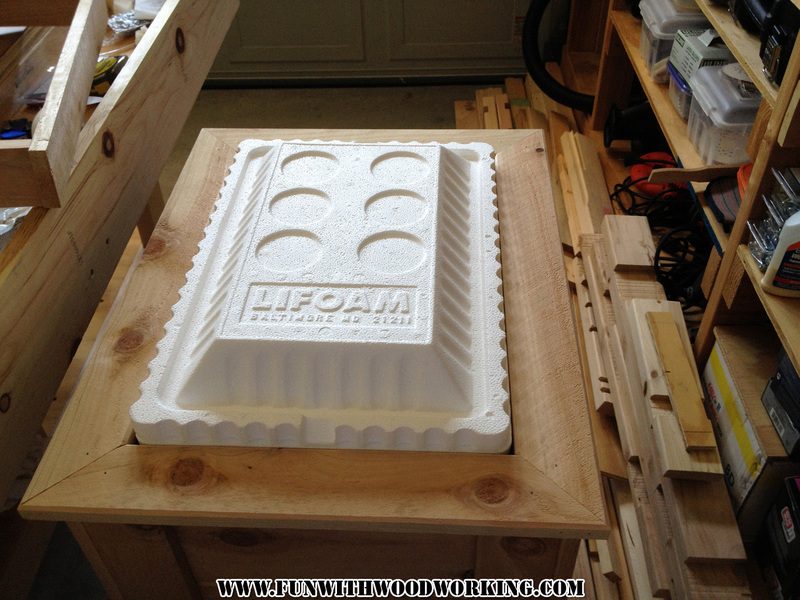 I cut more 2 1/2″ strips to make a frame for the top to close in the sides of the foam ice chest. 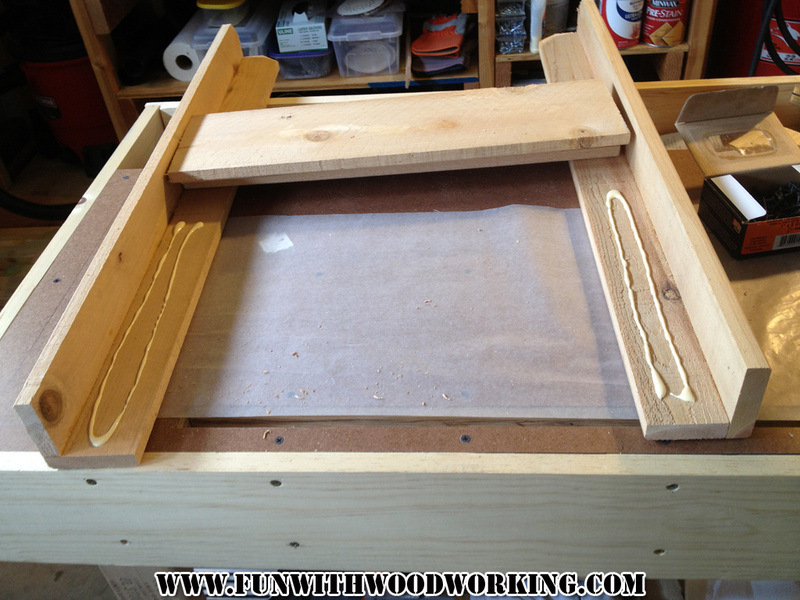 I made rough marks and slowly inched my way in until the frame fit tightly around the ice chest. 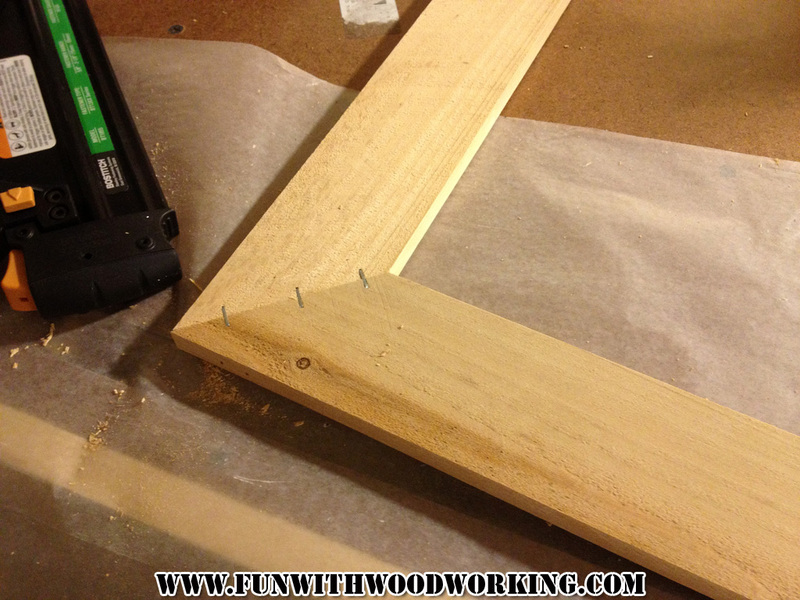 and stapled the frame together to make it as strong as possible. 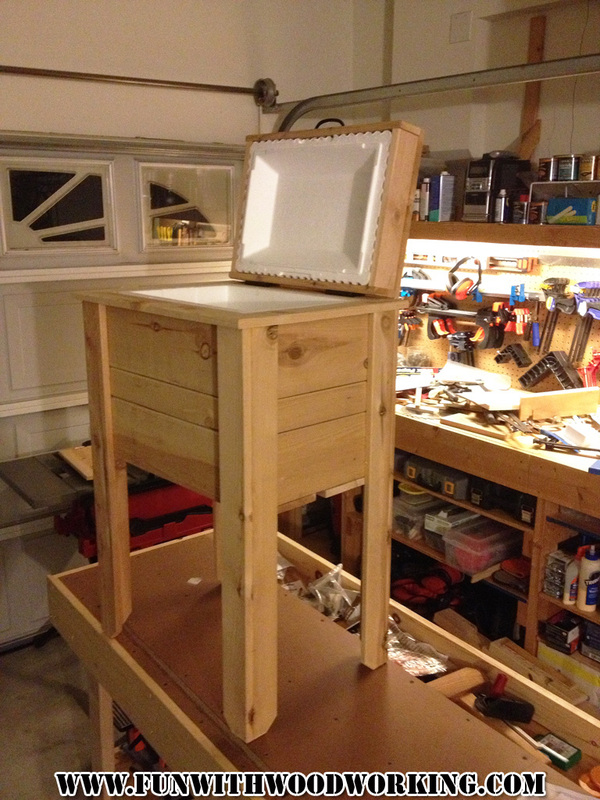 Here it is assembled and upside down. It’s a nice tight fit. 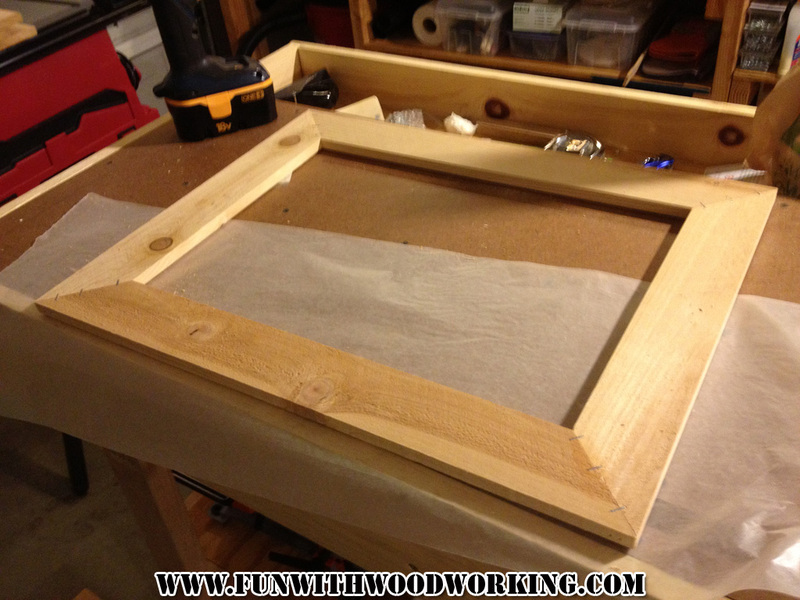 I also chamfered the inside and outside of the top of the frame. 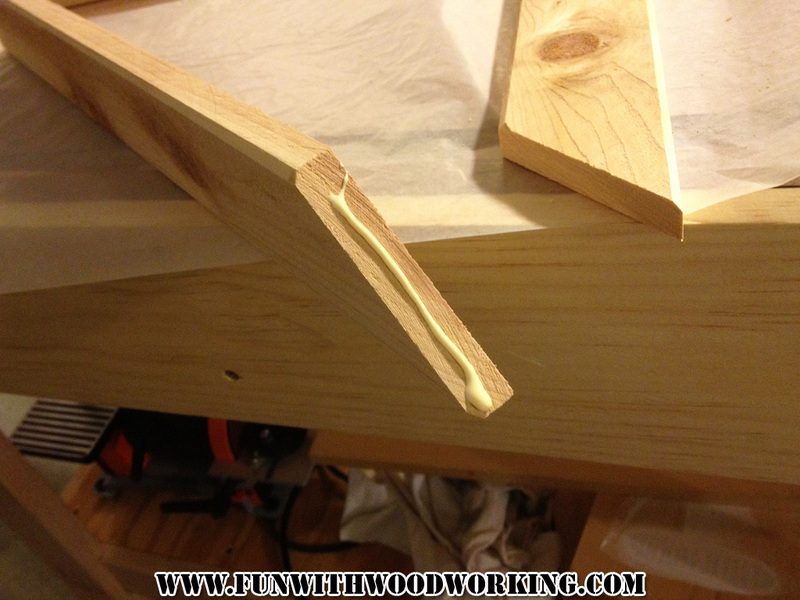 I used a piece of scrap from the frame to set how far the lip stuck out in the back. 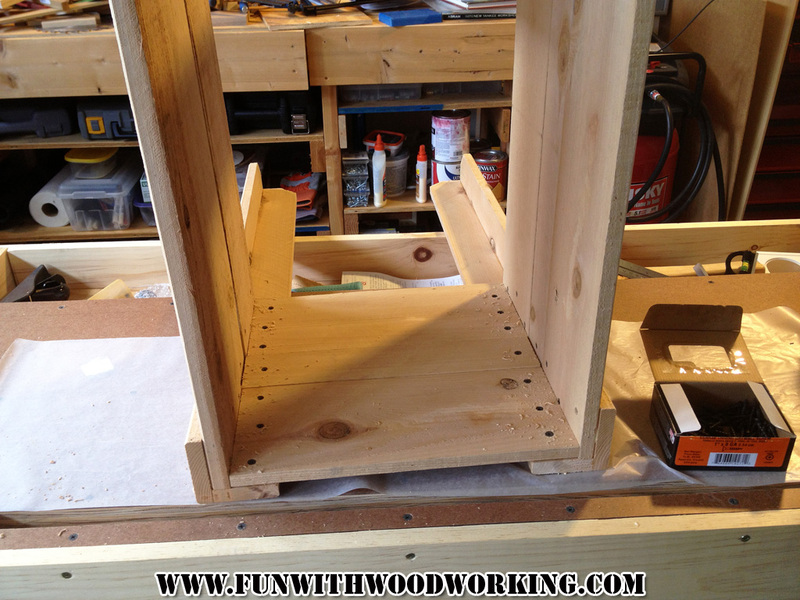 I glued and nailed the top frame and then used some water as a clamp. 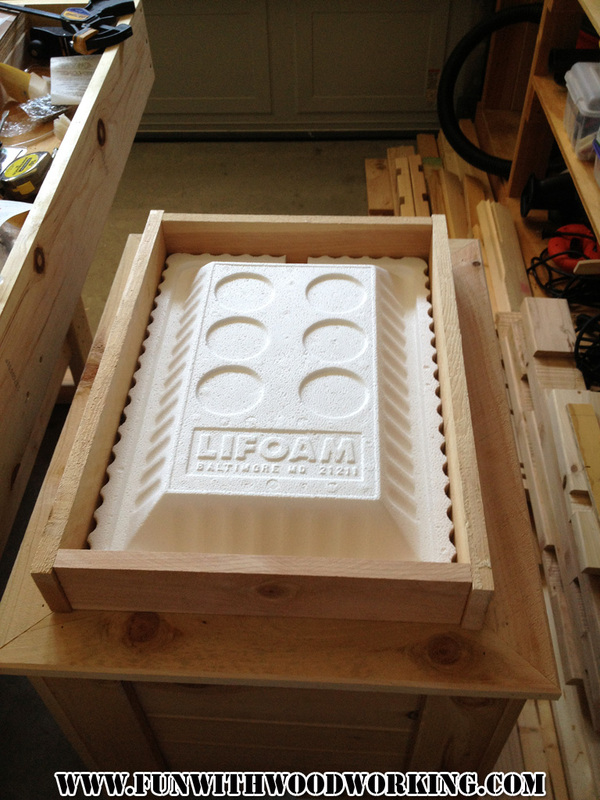 I tested the height of the foam lid with a 2 1/2″ scrap and it was a good fit. 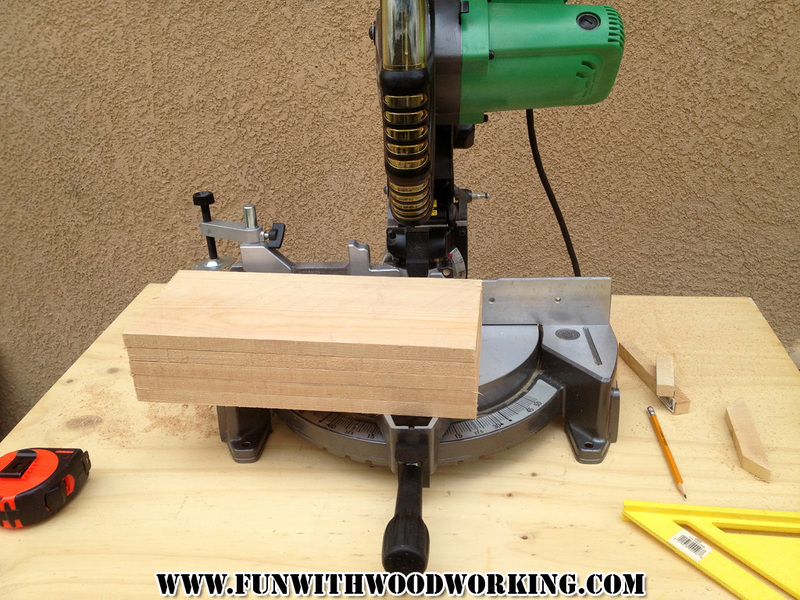 I took another board and cut it down to size to tightly surround the lid. I also ripped them down to 2 1/2″. 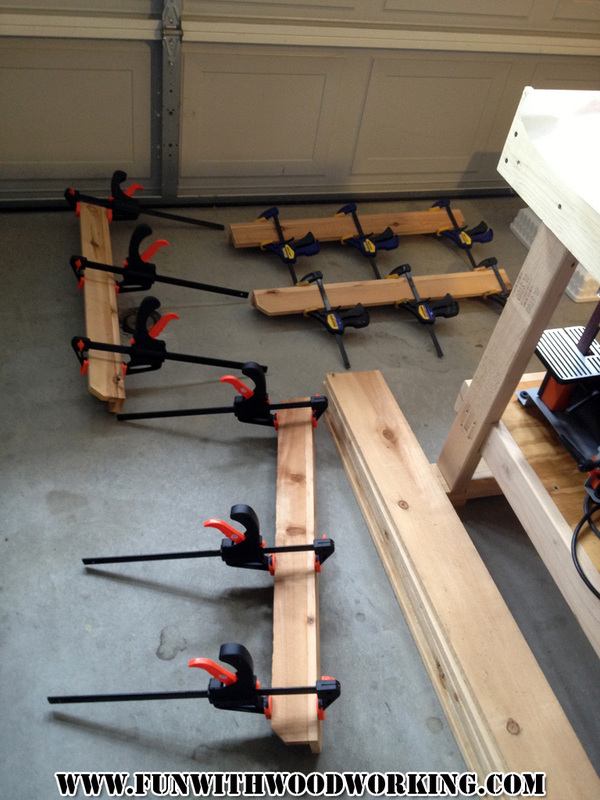 I glued, nailed, and clamped the pieces over night. and then put the frame around it. 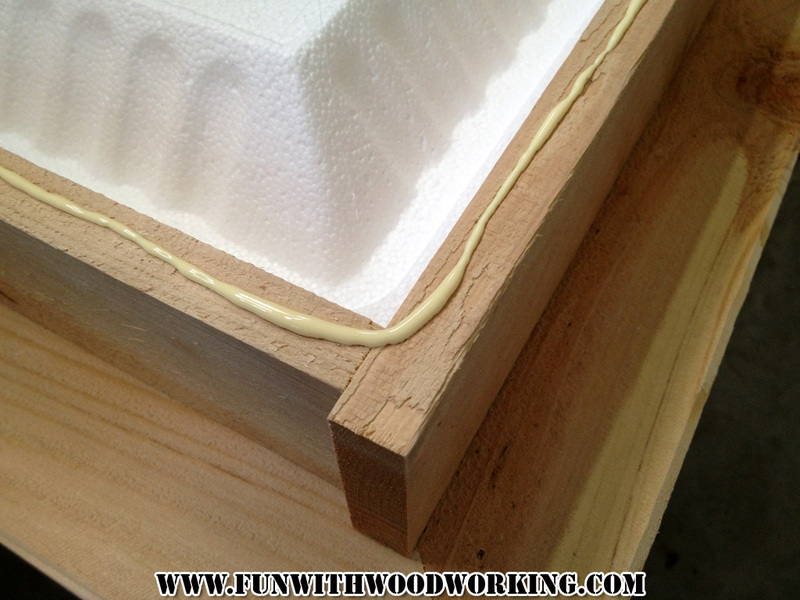 The easiest way I could think of to attach the lid to the frame was hot glue. 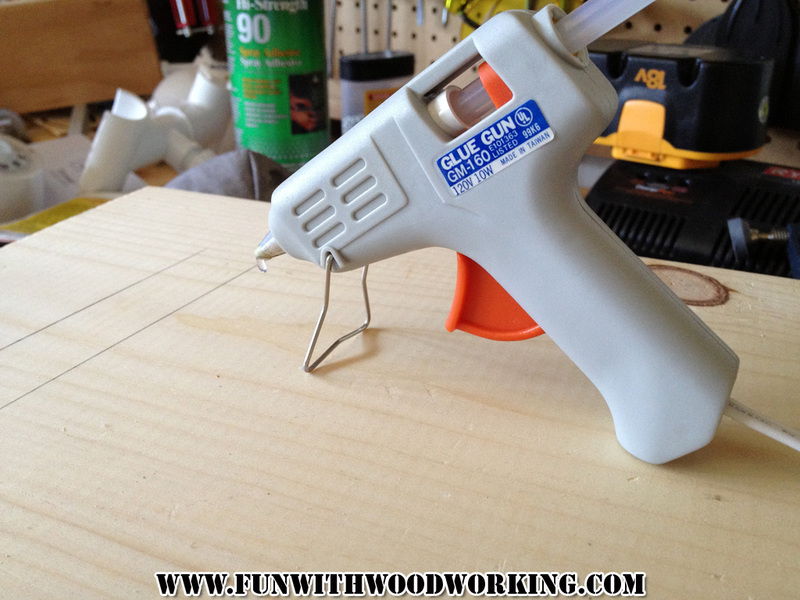 It worked great as long as I didn’t touch the tip of the gun to the Styrofoam. 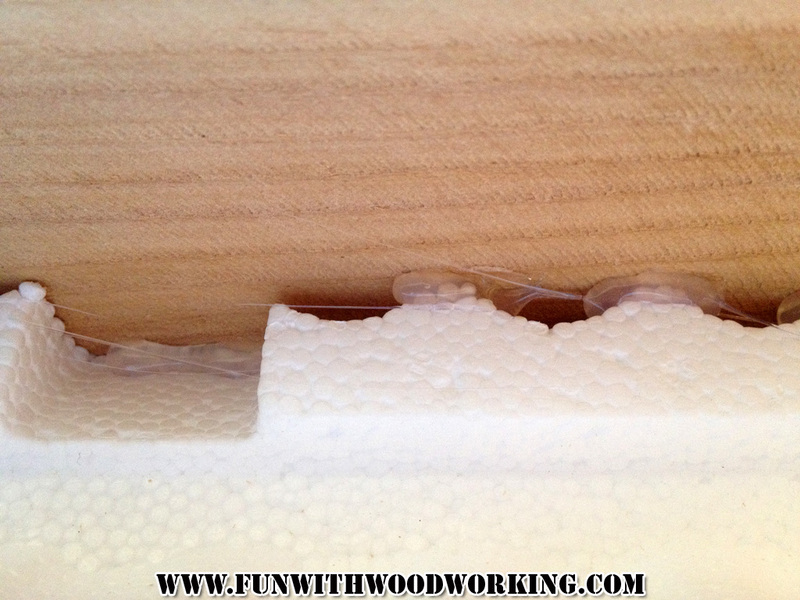 I put a bead of glue all the way around the frame and then attached two 5 1/4″ boards and one 2 1/2″ board to keep the 3 board look throughout. 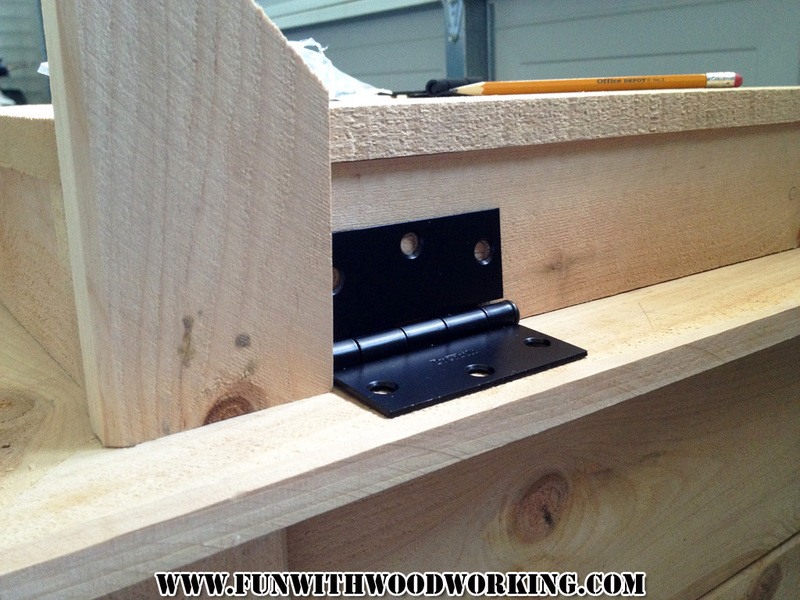 I used that same piece of scrap to set my hinges in 2 1/2″ from the ends. 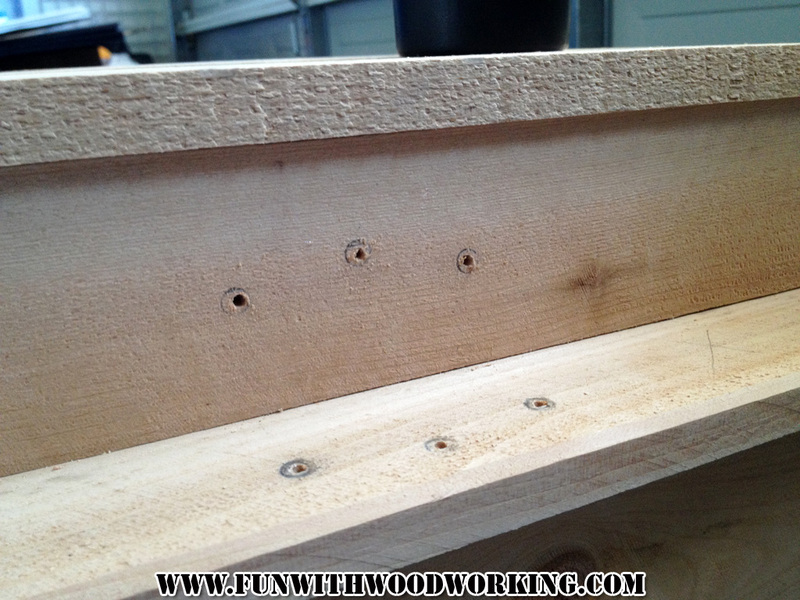 I marked the holes and predrilled. 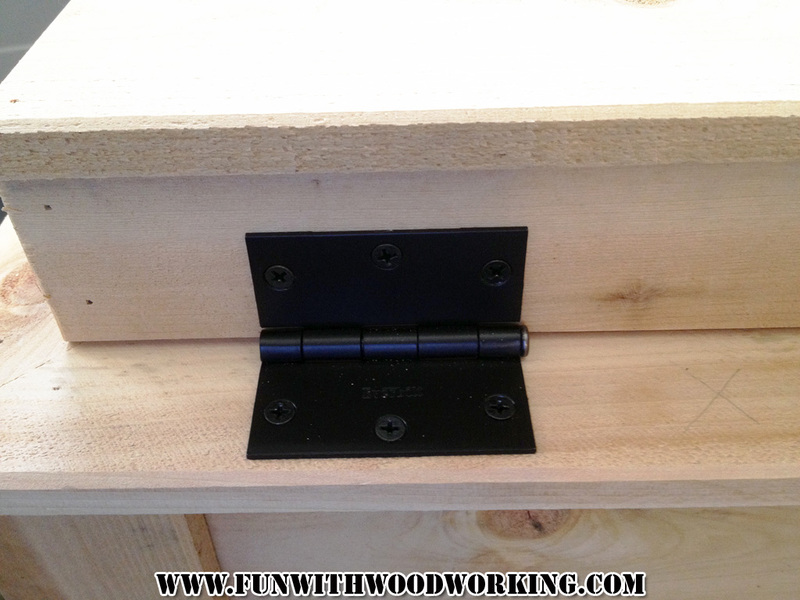 The hinges came with their own screws that worked great. I had to go underneath and cut off the ends of the screws because they stuck out a little. I put a dab of hot glue over the cut pieces so hopefully they won’t rust to quickly. 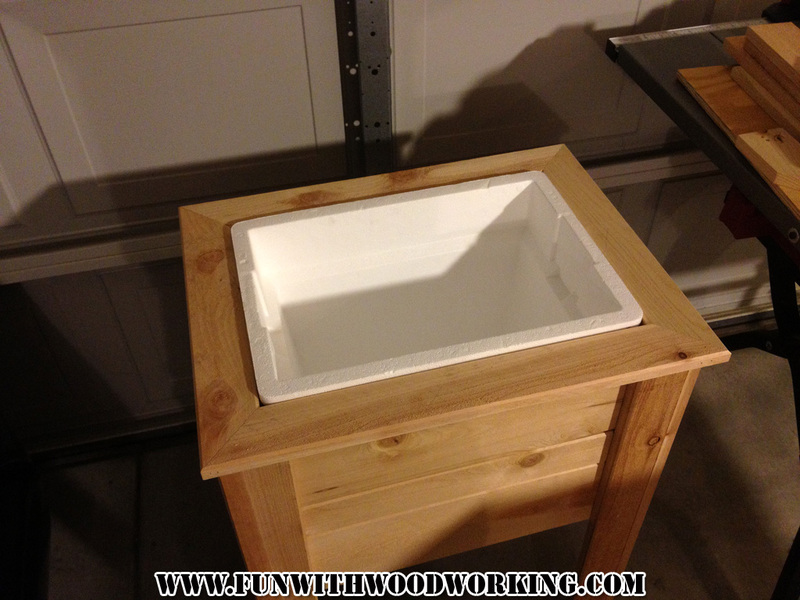 Here is the completed ice chest/cooler box! 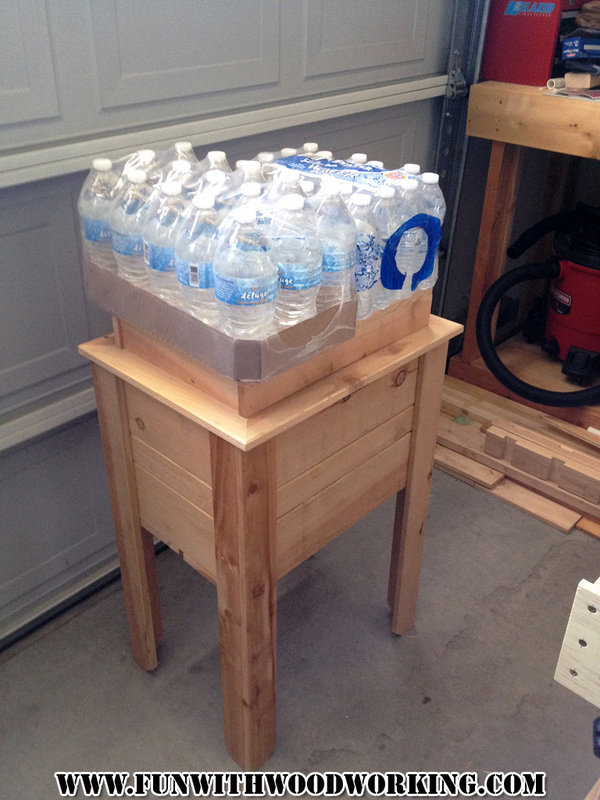 I might put some handles on the sides but with the foam ice chest the entire thing is very light. 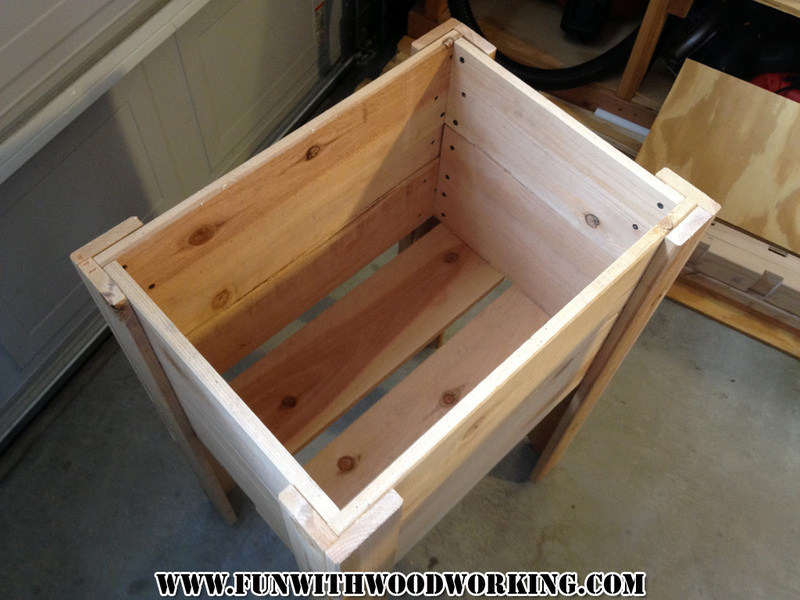 I might also put some exterior finish on it but I am interested to see how long the untreated wood lasts so I might not.